 While it’s important to keep your body hair well-maintained, it’s just as important to take care of your hair and body. Shop our hair & body care products including lotions, body washes, deodorants, beard/face washes, and body bars. Our beard and face wash offers an unique blend of naturally derived oils will condition and soften your beard while keeping the skin hydrated and soothed. The perfect choice to prep your skin for a smooth shave. Our formulas of body wash and shower gel keeps your skin clean and hydrated without stripping the skin of its natural moisture. Vitamins and naturally-derived ingredients hydrate and replenish your skin. Choose from a variety of scents! Our naturally derived deodorant from Every Man Jack and Own Beauty provide long-lasting odor protection and will keep you feeling clean all day long — guaranteed. Add a thickness a fullness to your hair, while keeping it looking healthy and soft with Every Man Jack Hair Cream! Hydrate your skin with this light and non-greasy lotion formula. These formulas are ideal for those with dry, irritated, or sensitive skin, as they are naturally derived. 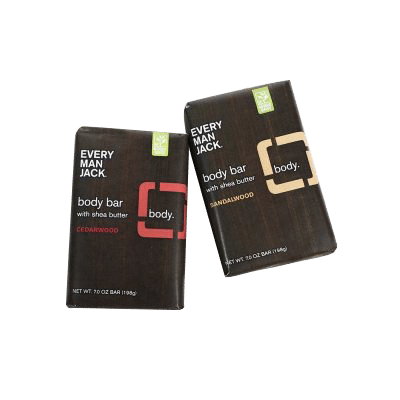 Body bars are exactly what they sound like — a brick of cleanliness. Lather it up and rinse clean to clean your skin without stripping it of moisture and natural oils. Get your best shave while on the move with our travel sizes of Every Man Jack products.